Pirates warned the U.S. military that the "hostages will be the first to go"
Four Americans taken hostage by Somali pirates off East Africa were shot and killed by their captors Tuesday, the U.S. military said, marking the first time U.S. citizens have been killed in a wave of pirate attacks plaguing the Gulf of Aden and the Indian Ocean for years. A San Diego-based destroyer, USS Sterett, was fired upon in the confrontation that ultimately ended with the Orange County couple's death. The U.S. Central Command says negotiations had been underway Tuesday to try to win release of the two couples on the pirated vessel Quest. They were traveling the world spreading their faith. A member of a U.S. special operations force killed one of the pirates with a knife as he went inside of the yacht, said Vice Adm. Mark Fox, commander of U.S. naval forces for Central Command. Fox said in a televised briefing that the violence on Tuesday started when a rocket-propelled grenade was fired from the yacht at USS Sterett, a guided-missile destroyer 600 yards (meters) away. The RPG missed and almost immediately afterward small arms fire was heard coming from the yacht, Fox said. 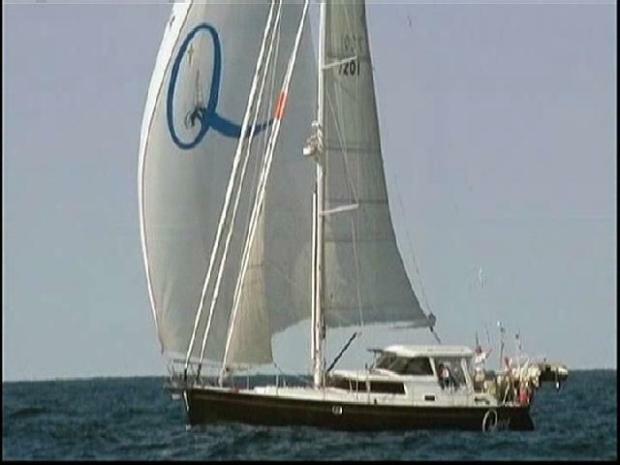 Organizers of the Blue Water Rally yacht race said passengers of the sailboat owned by Scott Adam and his wife, Jean, carried them and two other Americans, Phyllis Macay and Bob Riggle, both of Seattle. 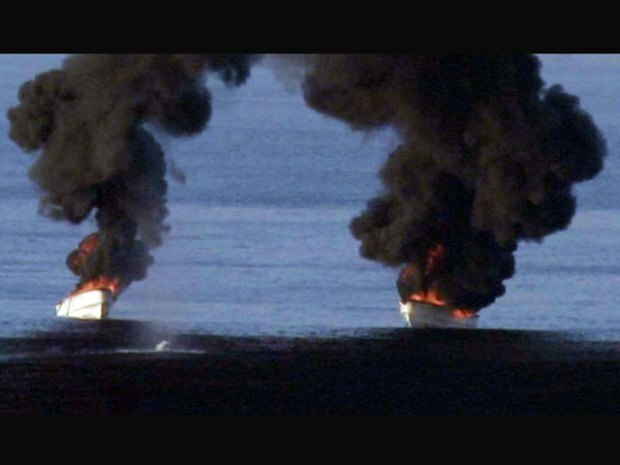 It was hijacked Friday off the coast of Oman. A friend and former professor of Scott Adam said Sunday that Adam wanted to combine his love of adventure with his faith by spreading bibles around the world. Professor Robert K. Johnston of Fuller Theological Seminary in Pasadena told The Associated Press that Adam who last year earned a master of theology degree from the school had sent friends emails detailing his international sailing trip. But Adam went silent Feb. 12 to avoid revealing the location of his yacht, the Quest, to pirates. "He was sailing around the world and serving God, two of his passions," Johnston said. Adam, in his mid-60s, had been an associate producer in Hollywood when he turned in a spiritual direction and enrolled in the seminary a decade ago, Johnston said.